Tropical dwarf umbrella plant (Schefflera arboricola), sometimes called arboricola plant, comes from Taiwan. A classic houseplant, it also grows outdoors in the warm climates of U.S. Department of Agriculture plant hardiness zones 10 through 12. When grown outdoors, the umbrella plant can reach heights of 10 to 25 feet, but in a container indoors, the plant will generally remain much smaller, reaching 3 to 6 feet. Always grow the umbrella plant inside containers that have bottom drain holes or root rot can occur. Umbrella plant does best when it gets bright, indirect light indoors but is shielded from direct sun. 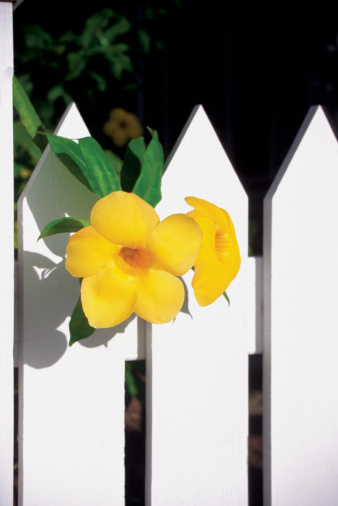 In the garden, plant it in an area that is protected from midday sun. Indoors, keep the plant near an east-, west- or south-facing window that gets sun for three to four hours each day. Indoors, temperatures should stay above 60 degrees Fahrenheit. Outdoors, it may tolerate an occasional light frost, but prolonged exposure to below-freezing temperatures can severely damage or kill the plant. If planted outdoors and a freeze or frost is expected, cover the umbrella plant with holiday lights, a sheet or burlap to help maintain heat. Water the plant well before the freeze or frost to help insulate the roots. To avoid overwatering during the growing season, water the plant deeply and let the surface of the soil dry to a depth of 1/2 inch before watering again. Water less frequently in winter when the plant's growth slows. Umbrella plant prefers a humid environment. Regularly mist its leaves with water from a spray bottle to increase humidity around the plant indoors, or stand it on a pebble tray. 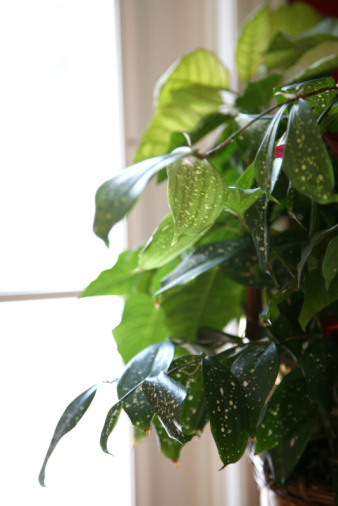 Fertilize the plant once a month with a water-soluble houseplant fertilizer. Dilute the fertilizer with water to half the strength recommended by the manufacturer. 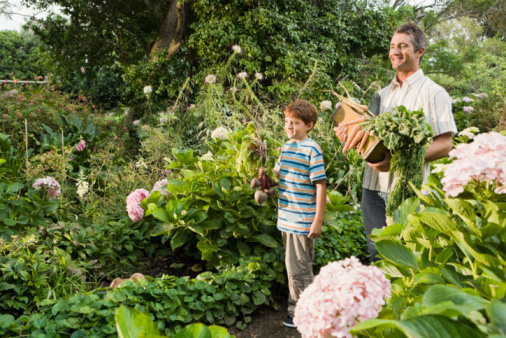 For example, dissolve 1/2 tablespoon of 24-8-6 fertilizer in 1 gallon of water for outdoor plants. Use 1/4 teaspoon per gallon for indoor plants. Use the solution in watering can to water the plant. To keep the dwarf umbrella plant from growing too large and leggy, prune back branches by cutting them just above the point where a leaf attaches to the stem. Umbrella plant rarely has issues with diseases, but the plant is vulnerable to attack by mealybugs, scale insects and mites. Mealybugs are small, flat, oval-shaped insects covered with a white waxy substance. They tend to cluster on leaves and in crevices where leaves join the stem. Scale insects appear as small, oval, platelike scales on the surface of stems. Mites are very small spiderlike pests. They tend to hide under leaves and spin fine webs. Control of these pests is sometimes possible by manually removing them using a cotton swab dipped in rubbing alcohol or by rinsing them off the plant with a spray of water. Insecticidal soaps may also work. Apply these less-toxic insecticide sprays thoroughly and as often as necessary to kill all adults and eggs. Mix 2 1/2 to 5 tablespoons of the insecticidal soap in 1 gallon of water in a hand sprayer. Spray on a windless day when temperatures are between 40 and 90 degrees Fahrenheit. Do not use during sunny portions of the day of foliage damage can occur. Take indoor plants outdoors before applying the insecticide. Spray to soak both the tops and undersides of the leaves. Repeat every four to seven days until the pests are gone. Why Are My Leaves Turning Yellow on My Plant? Why Are the Leaves on My Pothos Turning Yellow?